Logansport, Indiana, here we come! I am returning to the United States after nearly 20 years! 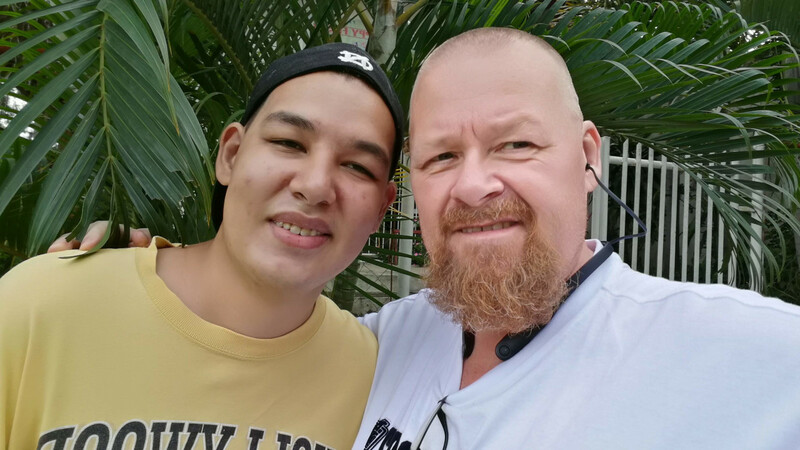 My wife, Feyma, and I have been living in the Philippines for the past 19 years. I am an American, born and raised there, except for a 2-year stint as a child living in South Africa. When I was 38 years old, my wife and I moved to the Philippines. Feyma is Philippine-born, then after we married in 1990, she lived in the USA for 10 years. At that point, we decided (mostly I decided and convinced Feyma) to go back and live in the Philippines. At this point, we have been living in the Philippines for 19 years, nearly 2 decades! Frankly, it has been a great life in the Philippines. But, we have decided we want to go back to the USA, and we have chosen Logansport, Indiana as our new home. Let’s start the story at the beginning. On my other website, called Live in the Philippines, I wrote an article saying that we had been thinking of moving to the United States. In the article, though, I said that we had finally decided that we would not make the move. Although we decided that we would remain in the Philippines, we also decided we would travel to the USA every couple of years or so. In October, we again revisited the topic. Feyma was in the USA at the time, just preparing things for her trip home to the Philippines. While we were chatting, Feyma asked me if I would be interested in returning to live in the USA. I told Feyma that I was open to discussing it, and we talked. Feyma explained to me that after spending significant time back in the USA over the past 2 years, she realized how much she missed the USA. She told me that she feels more at home in the USA now, and that made me think. Since moving to the Philippines in early 2000, I have never been back to the USA. I never really felt a desire to do so or had a real reason to go back. However, in recent years I have been feeling a bit of pulling to go back home, at least to visit. After listening to Feyma talk about her desire, it made me start wanting to go back. Frankly, we have had a great life in the Philippines. We lived the majority of the time in Davao City, which is one of the largest cities in the world in terms of land mass. Only about 1.5 Million people in the city, but in terms of land mass, it is huge! I have changed a lot during my years of life in the Philippines. All of the changes I have made have been good changes. I have become a lot more patient and tolerant during my years in the Philippines. I used to have a short fuse, I’d get mad easily. Do I still get mad? Of course, I do, we all get mad. But, now I am mad a lot less than I used to be, and am able to blow things off instead of getting angry. I like the new Bob, and I hope I can maintain my new attitude when we return to the States. I think I can do that. When we moved to the Philippines I weighed 430 pounds. I was huge. I had diabetes and did little to control it. Diabetes led to other health problems. After my heart surgery in 2016, I really went on a health kick. Right now, I weigh just under 200 pounds, I have lost more than 230 pounds! Yep, I am less than half the man I used to be. I feel great. You can read about my health journey on 430 To Fit. I no longer have diabetes. I don’t take any medications for anything. My blood pressure is low. No blood sugar issues. Nothing wrong with my health at this point. I still want to lose more weight, and I want to start working out to build muscle. I will do it! Both Feyma and I feel that if we had remained in the United States in 2000 I would be dead by now. I just don’t think I ever would have changed my lifestyle if we remained living in the USA. If life has been good, why move? So, many will ask that question… if life has been so good, why do we want to move? Let’s look at our thinking on each of these items. While we continue to enjoy our life in the Philippines, we are ready for a change too. I am the kind of person who thrives when I have challenges in front of me. I have already accomplished all of the things that I wanted to accomplish in the Philippines. In fact, I accomplished those things years ago, and I feel that I have been somewhat stagnant since then. Facing new challenges is something that, I believe, will be good for me. Feyma feels much the same. With her going to Alaska each of the last 2 years to work, she has experience doing work that is also available in the Logansport area, and she wants to work there and make new accomplishments, much like I do. Feyma became a US citizen in the mid-90s, but did not work much in the 90s, she was a stay-at-home Mom. Now, she wants to work enough quarters to qualify for Social Security, and that is important to her. I support her on her goal. I am somewhat surprised myself by feeling this way, but I am ready to move! When I was a child, my parents moved a LOT. We lived in 10 different States during my childhood, and 2 different countries. Sometimes we moved within a state, so we had more moves than the number of places would indicate. When we decided to move to the Philippines, I was ready to settle and put down some roots. To be honest, I really don’t have a place that I call “my home” or “hometown”. I just never lived anywhere long enough to establish those roots. At this point, I have lived in Davao City, Philippines for 17 years, and I have lived here longer than any other place in my life. I consider Davao City to be my home, and I will always have a special place in my heart for Davao City. However, I have, for the past couple of years, been feeling a little bit of “wanting to move”. Wanting to see a different view out of our kitchen window. I know that kind of change is something I wanted to get away from, I wanted to put down roots. Well, I feel I did put down roots, and I will always say that Davao City is at least a big part of where my roots are. But, now I am ready to move on and see some new things. I have never lived in the mid-west of the USA before. Never lived in the Eastern Time Zone. There are a lot of new experiences ahead for me, and for Feyma too. We are excited. We have a son, 27 years old, who is developmentally disabled. Chris is a great kid (grown up), and we love him very much. Chris, in fact, was a big part of why we decided to move to the Philippines. In the United States, people are busy, always on the run, etc. Having a disabled child is a big job for parents, and extra help is always appreciated. But, with my family members being so busy, moving to the Philippines was an obvious help to us. Extended family is huge here in the Philippines, and all of the extended family was available to help care for Chris, and also be his friends. As an adult, however, the Philippines does not offer much for a disabled person. In the United States, the opposite is true. From what I have been told, Logansport is a real leader in assisting disabled people. There are programs where Chris can be given training and a job that is targetted to his skills. Even the possibility that Chris could live in a home with other people who face similar situations. This is what we have been told by a friend here in Logansport. We are very excited to be able to offer these things to Chris by making the move. There are a couple of things that worry me about this move. However, I am of the attitude that all things in life that are worth doing can be a bit scary. Any time you make a change in life for the better, you will face a bit of fear. What if it actually turns out worse? I am a bit worried about the weather in Indiana. It is cold here, and snowy! In the past 20 years, the coldest temperature that I’ve felt is probably the high 70s. I looked up the temperature in Logansport a while ago, and it was 21 degrees! Yikes! It will be a big adjustment for me, but I am willing to give it my best. For Feyma, having worked 6 months each of the past 2 years in Alaska, she has grown (somewhat) accustomed to colder weather. She feels she will be OK. We’ll see! Moving from the United States to the Philippines was a big cultural adjustment, but I did it. I even learned to speak the language here. Many people would think that going “back home” would be easy. But, that is not always true. There is something called “reverse culture shock” which comes when you go back to where your roots are, and it is as bad (or worse) than the original culture shock. The United States has changed a lot in the past 2 decades that I have been gone. I know it will be a huge adjustment for me to make, getting used to living there, after such an extreme difference. But, again, I am going to give it my best! So, for friends in the States, and new friends that we expect to make there, we’ll be getting to Logansport in January, and we are both excited and happy to be making the journey. Having lived a good portion of my life in many different countries I know of what you say. It’s never easy, but let’s hope it’s not too hard either. Good luck to you and your family. Do you have a mall Santa gig lined up for next Christmas? Hi Tim, thank you for commenting! We are getting close to our move date, and getting quite excited. I will certainly be Santa in the States… but probably not in malls. I intend to aim for Corporate Christmas parties and also Home Visits. Maybe malls too, but it is not on the top of my list.